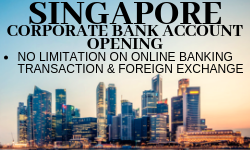 * The account opening can be done in Hong Kong or Canada. Place mouse over application timeline for process details. GLOBEVISA has over 1,200 professional staff members which provide the best and the most comprehensive service to our clients, throughout our 12 years of establishment. Our experienced lawyers team provides the best legal immigration advice and solutions to our clients according to their needs and situation. 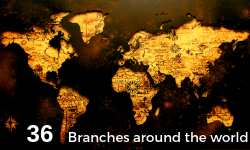 We own 35% of global market share in the industry, which has fulfilled over 150,000 clients relocation dreams with various favorable recognition. 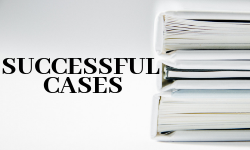 Our success rate is 90% on all of our available programs, as our unique three-trial system ensures the applications are carefully-checked and perfect. Our all-rounded services include accompanying on landing, private tour, and other aftersales services, to ensure all of our clients can settle at their desire destination. Over 10 years of experiences in immigration industry. 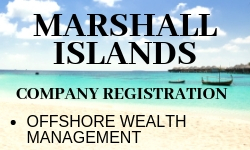 Specialized in Passport, Investment & Asset Management field. Serving over 500 high-ended clients all over the world. We can ensure to deliver the best service for you. 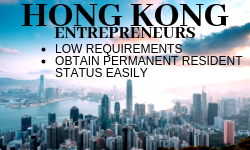 Graduated from the UK, I am a professional, enthusiastic consultant based in Hong Kong. I can speak fluent English, Mandarin, and Cantonese. I am dedicated to choosing the most suitable program for your relocation planning. My name is Vira from Ukraine.Spent 4 years in China and living in Hong Kong for 3 years. Able to speak fluently in Russian, Ukrainian, English.I will be happy to assist you with your Immigration plan,asset and tax management. A goal-oriented Individual, I am an immigration consultant passionate about helping people relocate to countries of their choice for better career prospects. Specialized in Australian and Canadian Immigration. graduated from University of Toronto majoring Statistic, Mathematics and Economic. I also obtained a diploma of Immigration Consultant as my profession. I am experienced, professional with positive attitude. I am Eugenia from Toronto Globevisa. I've helped out with more than 150 families residing in their ideal countries and starting their new life. Letting clients' dreams become true are the biggest dreams of my own. I have been working in the immigration field 3 years. My expertise is to communicate with clients, and analyze clients' needs and situations in order to find the most eligible immigration plan for them. Have over six years of experience of the immigration ,visas and other related programs. I expertise in understanding the needs of my clients ,their goals and offering them the best advice to achieve their goals. I am Kj from Malaysia Globevisa.With 5 years of experience in immigration industry.I've helped over 100 families migrate to their dream country.Making my clients dream come true is a passion for me. Cheerful, responsible, self-motivated, and hardworking. Have strong problem communication and advocacy skills, and have a relatively strong ability to withstand and adapt. Strong organizational skills and teamwork spirit. I am Ganesh from Malaysia Globevisa.With 4 years of experience in immigration industry.I've helped over 80 families migrate to their dream country.Making my clients dream come true is a passion for me. Over 3 years of experiences in immigration industry. Specialized in Passport, Investment & Asset Management field. Serving over 500 high-ended clients all over the world. We can ensure to deliver the best service for you. Master’s degree in Economics, over 6 years experience, specialized in immigration, oversea study planning and financial advisory as global taxation management and global real estate investment. Has been in this industry for many years. 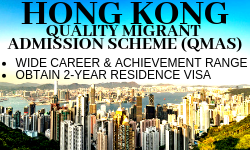 Expertise in investment, skill migration, entrepreneur migration and citizenship related migration program. Assist more than 1000 applicants in the past 2 years. Having many years of overseas life experience. Possessing immigration knowledge & laws in various countries. My professionalism and service awareness can help you choose the most suitable immigration plan. More than 6 years of experience in the immigration industry, assisting hundreds of clients to successfully immigrate to various countries around the world, I hope to provide professional advice and services on your immigration journey. Over 5 years of expertise in international trade and business practice, able to speak fluently three languages; Vietnamese, English, German. 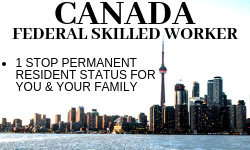 Will provide the best immigration program for you with professionalism. My experiences consist of dealing with many practical international immigration cases, especially with New Zealand visas from education to work permit and investment programs. I can deliver to my clients the most suitable and satisfied service. I have worked in the immigration industry for many years. Possessing immigration knowledge & laws in various countries. My professionalism and service awareness can help you choose the most suitable immigration plan. Years of university education and work experience in the United States have accustomed me to bridging people of different nationalities to one another. 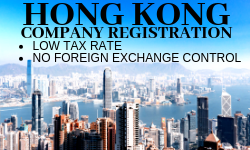 Specialized in immigration, studying abroad, company registration and asset management. GLOBEVISA Toronto Branch is located in the city of Markham – southern Ontario. With the longest history in China in operating the Canadian immigration programs, the Toronto office has the experience and resources to solve any immigration related problems. *All information provided are only for providing you a customized immigration solution. Which will not be use in any advertising purposes or to be disclose to third party. Thank you for your submission. Your customized immigration plan will be delivered by our immigration consultant shortly. If you have further questions on the program, please click “Consultation” Box below. 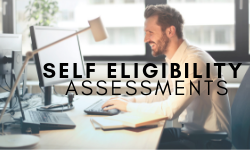 Enter the number of people to be included in addition to the main applicant, and our exclusive calculator will convey the estimated costs for you. The charges differ based on the number of applicants added and the application stream selected. Estimated Start-up Fund (USD) What is Start-up Fund? The Start-up Fund Estimation will be the total fund needed to complete the whole application, which includes any applicable short term investment cost or permanent donation. Estimated Net Cost (USD) What is Net Cost? The Estimated Net Cost would be the total cost of the program, as some of the investment program involve the return of investment capital. 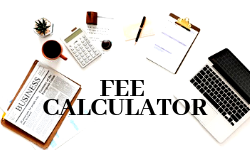 The total amount shown is for your reference only, please note that the estimated cost on third-party charges will be varied by the number of submitting documents. Fees will not be generated if specific service is not required. Copyright @ 2007-2019 Globevisa Group Limited. All rights reserved.